1) Josephine Fedele: younger sister Konchetty Fedele - "Olga Nikolaevna" -I've mentioned her at the Olga's claimants thread-. On the assurances of her children escaped with his brother and sister because of a secret treaty between Germany and Soviet Russia. 2) Lyubka Tersieva: as a citizen of Bulgaria. Её внучка продолжает отстаивать права своей «царственной бабушки». Her granddaughter, continues to defend the rights of his "regal grandmother." 3) Peregudova Alexander: died in the Volgograd region in 1982. According to this version, all the Romanovs survived because a train driver took them to Siberia, he was able to substitute for some seven doubles. The fate of the remaining survivors remained unknown. 4) Anastasia of Moscow: real name unknown. According to her, "State Secretary" Pakhomenko Leonid Smirnov, who filed an application to the Supreme Court of Russia , she was taken to Moscow in 1918 , along with polka Anna Tshinkovskoy (apparently - the distortion of the name Shantskovska), to play its role in Europe and thus gain access to the Tsar's millions. 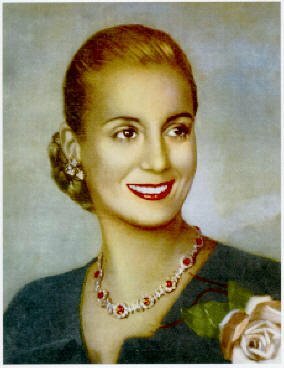 The real princess, according to Parkhomenko, were sent to Siberia, and her four children poisoned for orders of Stalin. The fifth son he was going to marry his daughter, but allegedly later changed his mind. 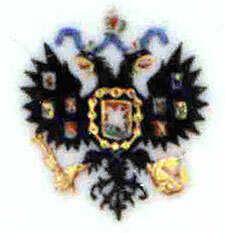 In the 1980s, the Grand Duchess moved to Moscow. With his "new name" Alexander Parkhomenko -I suppose the son of this "Anastasia"- declined. Story has not been further progress. 5) Alexandra Spiridovna Karpenko: resident of Omsk. She died in 1976 . A kind of monarchist-minded conspirators stole Anastasia, and they tried to take her away on a cart. Further in her own words looked like this: "I was carried in a cart, and when the riders have to catch up, I jumped out in a bog. And when all was quiet, I got out, and we again went on ... ". Apparently she escaped at 1920. She was adopted by a resident of Primorye, Spyridon Miroshnichenko. Her daughter named Anastasia contacted the writer Vladimir -Kashitsem (?, translation unclear)-, and told the "true story" of his mother. 6) Elena Kharkin - appeared in 1943. She was reluctant to talk about her past, however, because of the "apparent similarity" the locals took her by Anastasia Nikolaevna, who survived thanks to the substitution. Date of death unknown. 7) Anastasia Yakovlevna Karetnikova - also on the assurances of his son, along with Alexei Nikolaevich was injured during the shooting and then kidnapped by some unnamed monarchists. Rescued children transported to the Urals to the Ataman Dutov. Alexei died soon, Anastasia was too weak to go to Siberia after the retreating White Army,then she turned to Ksenia Karetnikov, the wife of the commander of the Reds, Budyonny (original Семена Будённого), and she remained with the family Karetnikov. Later she married Nikolai Ionov and gave birth to two children. She was killed in August 1936 , and, as her son says, the crime was concealed by the authorities and declared a suicide. Her son: Anatoly Ionov wanted find solacefor her mother in the last royal tomb, and he was officially recognized as "the emperor in exile." He tried to write to President Putin, addressed to the newspapers, but his claims fell on deaf ears. I think that they didn't became much notorious that the only thing remembered of them are their "names". This thread will be for those who claim to be Anastasia Nicholaevna. This is not the place to post about Anna Anderson or Eugenia Smith. I'm actually working on a film documentary on the Romanovs, and I was wondering if anyone out there had any iformation on a woman who died, in russia, in 1971 claiming to be anastasia? i've searched on the web, but everything is about anna anderson or eugenia smith. if you could point me in the right direction i'd greatly appreciate it. I don't believe in "conspiracy theories." At the same time I thoroughly believe Anna Anderson and Anastasia Romanov to have been the same person. I simply believe that no human science is infallible. I don't put absolute religious-type faith in any science. Every time we think that we have arrived at infallible scientific knowledge, we are eventually forced to either admit that we are mistaken, OR to adjust our ideas. When so much evidence exists in her favor (memories, scars, birth defects, etc.) I am surprised that so many people have "bolted" from her camp based on one piece of evidence. Mark my words here, all ye who read. Withink a few years new scientific understandings will arise, understandings that will invalidate everything we now think we know about DNA. It's inevitable. Just be patient. Bide your time. Wait. Remember, also, that DNA is only the most recent technology that has supposedly proved "AA" to be false. A generation ago people were saying the same things about her having been proved false, based on forensic examination of her ears. Then it was discovered that the pictures they were looking at were "backward." When they examined the pictures correctly they discovered that AA and AN had absolutely identical ears. Eventually the same kind of thing will happen with the DNA results. What do I think about the DNA? Same old story- different technology. Ho-hum. I'm not shaken. The DNA evidence is 100% WITHOUT DOUBT. If you do not understand or accept this, you do not understand what it really means nor how it is done. You are a new user here. We do not permit unsubstantiated claims. Many before you have alleged "Anastasia files" but never actually provide the documentation of what is in them. UNLESS YOU PROVIDE THE SPECIFIC DOCUMENTATION for independent scrutiny, you may NOT discuss the survival of any member of the Imperial Family. Those are Forum Rules. Period. We are a place of science, FACT, and supportive documentation. We have this as a primary duty and obligation because we are used in so many schools and Universities across the globe, we are used a resource by Museum Staff (including Russia) for reliable information, and we are regularly archived by the United States Library of Congress. We uphold these standards as befits the trust these institutions place in our work here. If you want to spew fairy stories of survival and "ear analysis" etc. kindly take them elsewhere. Oh, God . . . I can't believe we're STILL battling the loons after all these years. Nothing will change those DNA results, as Admin said, they are 100% correct without doubt! Anna Anderson was not Anastasia or no Romanov relation at all. I think that this is "new" -at least don't remember her-, an "Anastasia" from Philippines!!! :-? -Tasiya Kazhuhina: In October, 2010, a woman from Philippines named Katherine Paterson claimed that her grandmother "Tasiya" was in fact the Grand Duchess Anastasia. About this woman, Tasiya, was only known that she was a Russian emigrant who moved to Philippines in 1918 when she was 17 years old. 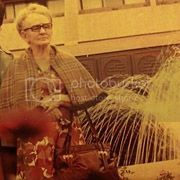 She stayed at Manila with other Russian refugees who had fled from the Communists . On the ship, she was kept in a separate cabin and its contacts with the other passengers were minimal . She stepped to the Philippines without money and without any documents and she stayed on a monastery. Her passport had the name Tasiya Kazhuhinoy and the Kazhuhina name was not present : the original was, in her own words, very difficult to pronounce for the local population (hereinafter none of her relatives she had not called ). Tasiya lived almost 40 years in a civil union with Lope Pelayo and bore him nine children, but for unknown reasons, she refused to legalize marriage and eventually agreed to a formal marriage only when her husband was dying and it turned out that after his death they children and grandchildren will not receive any inheritance. Paterson recalled stories about her grandmother giving the impression that Tasiya lived in a rich family. In particular, according to Katherine, she told me that she had three sisters and a brother. She called brother Alex , one of the sisters - Mary. Catherine said that she has received this name thanks to his grandmother, who wanted to name it in honor of Catherine the Great. When she (her granddaughter who is claiming this story) offered to find her relatives in Russia, Tasiya forbad her to do so, arguing that if "they" find she they would kill her -unclear paragraph- (she never knew who were "they") . 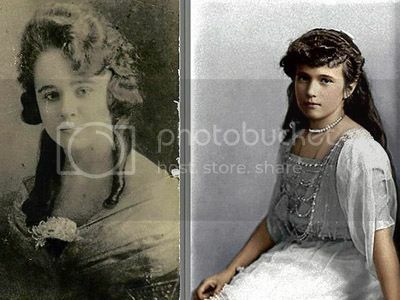 After Tasiya's death, Catherine in early 2010 went with her ​​husband and children to Russia to find any traces about Tasiya and in the same period accidentally found online one photo of Grand Duchess Anastasia. Catherine found (as she said) a strong resemblance to the Grand Duchess and the only surviving photo of Tasiya . Then she came to the conclusion that the name could be the end Tasiya named Anastasia and Kazhuhina - a distorted version of the word " Princess ." 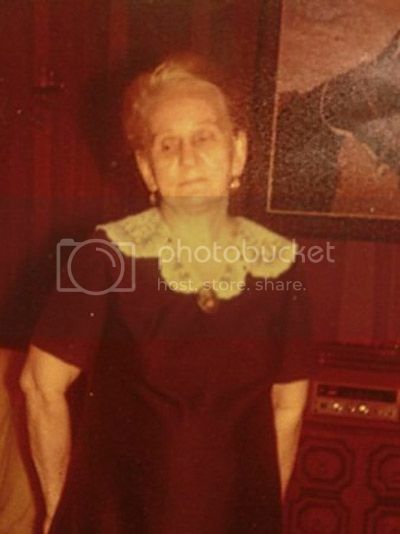 I think that this photo must be the one that her granddaughter claims to have a strong resemblance with GD Anastasia... personally I don't find it!! I see a passing resemblance in the first photo, nothing more. She looks as much like Anastasia as I look like Brad Pitt, namely NOT AT ALL! Tayisya looks similar but her face is to short for Anastasia's longer features. I would have loved to put Anna Anderson and Eugenia Smith in the same room and say: "Anastasia Nikolaevna, meet Anastasia Nikolaevna!"